The Summer fun has begun when you bring out your Personalized Welcome to Our Pool Can Wrap. 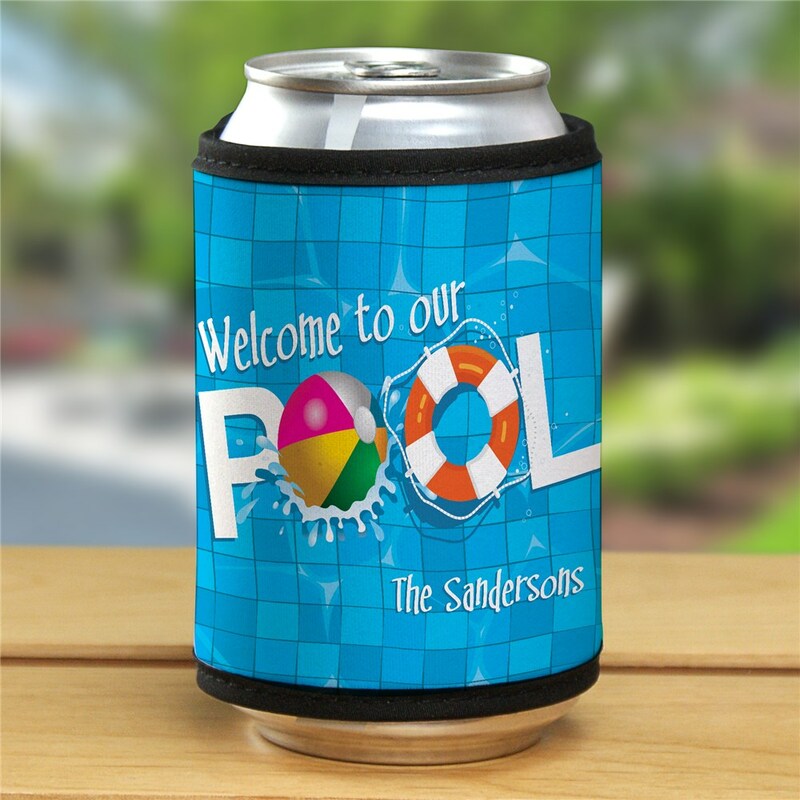 Personalize this can wrap with any custom message, making unique can wraps just for your pool! Now all of your guests can keep their drinks cool on those warm sunny days when they wrap their can or bottle in this can wrap. These are so cool for our pool!! Love them. Additional Details Shop GiftsForYouNow.com for all Personalized Summer Fun Gift Ideas. Nothing says summer like our Swimming Pool Design Can Wrap and our Summer Welcome Doormat and Pool Welcome Wall Sign.